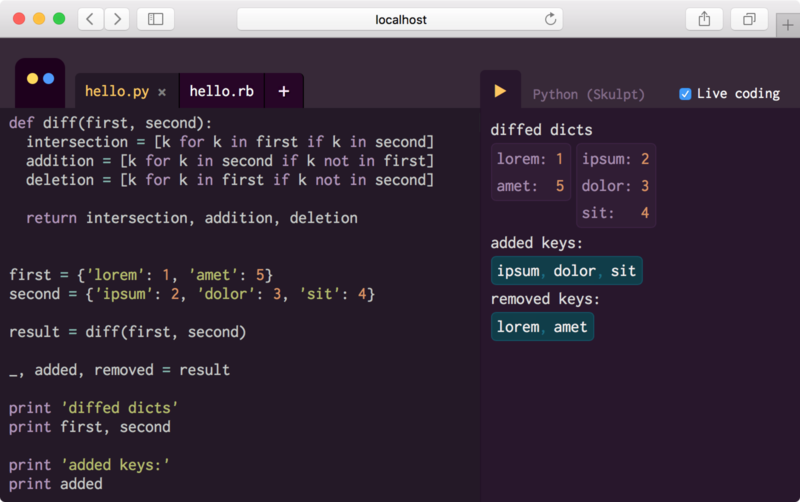 This week: component development tools! One of the great things about our community is how committed everyone is to building a great development experience. 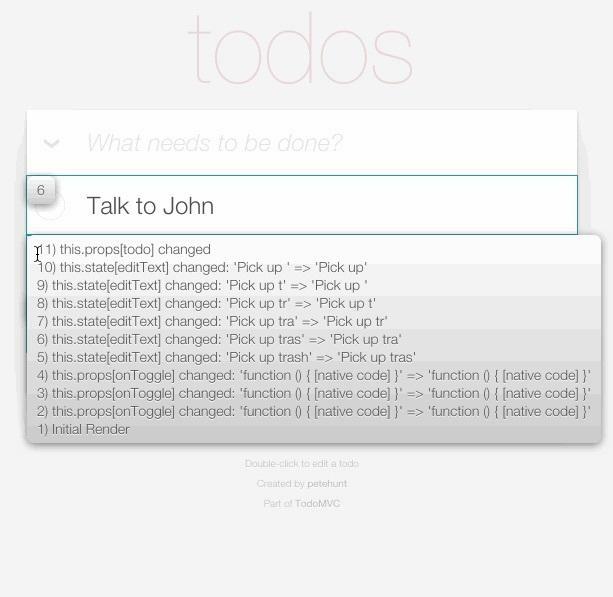 There are a proliferation of great developer tools right now and in this issue I'll talk about a handful of them. I think one of the reasons we see so many development tools for React is because the community has a leaning toward functional components and data architectures. For example, it makes it easier to write an inspector for your data architecture if all of your data is in a single state tree vs. if every component in your app hold their own state. Below I'll show you some tools that will help you in your component development, wireframing, debugging, and testing. react-cornea is a testing utility for generating visual diffs of your React components. The idea is that you can visually identify regressions in your styles. It uses Phantom to take the screenshots and Imagemagick to do the processing. Redux test recorder is a redux middleware + component for automagically generating tests for your reducers based on the actions in your app. My experience is that many developers don't give enough thought to accessibility in their apps. This is where react-a11y can really help: react-a11y identifies accessibility issues in your React elements. 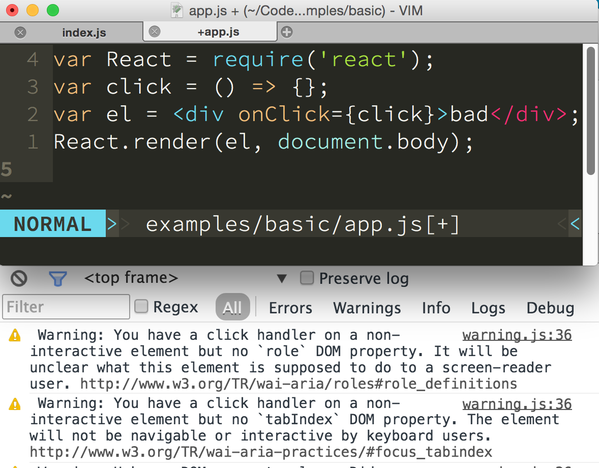 If you're using redux and React Native this project can really help you: it lets you inject remote-redux-devtools / remotedev into the React Native debugger. 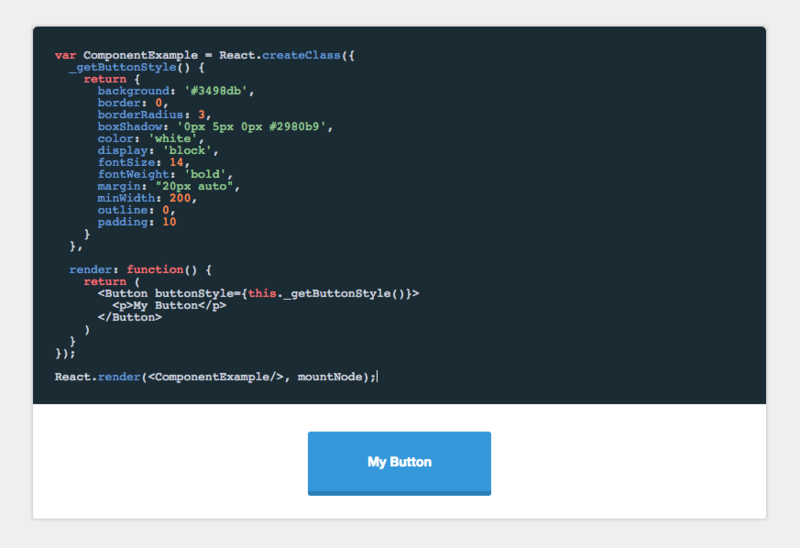 component-playground is a tool for rendering React components with editable source and live preview. 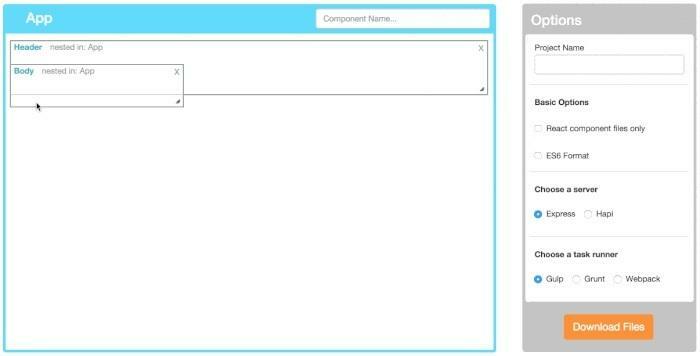 OverReact is a component GUI editor where you wireframe React components and then you can download the starter project. React Render Visualizer is a tool to see what is (re)rendering and why. html-to-react is a library that converts raw HTML to a React DOM structure. Usually we want to go the other way: React -> HTML, so why is this library needed? You might use this in the case where you have another team generating an HTML template which you'll be using. Not something you'll use everyday, but handy when you need it.